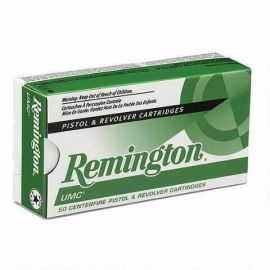 This UMC ammo from Remington is economical but not 'cheap'. In 9mm Parabellum with a 124 Grain, Full Metal Jacket Bullet, launched at 1100 fps, it makes 339 ft/lbs of energy at the muzzle. UMC proves you don't need to spend a lot for reliability. Box of 50.